In this video from the Dell HPC Community meeting, Maurizio Davini and Antonio Cisternino from the University of Pisa describe the work they are doing to extend server memory with Intel Optane technology. From quantum chemistry and nanophysics to genome sequencing, proteomics, and engineering simulations, researchers at the University of Pisa are using high performance computing across an increasing variety of research disciplines. HPC has become a foundational resource for more than 200 users who are working to push the boundaries of knowledge at the prestigious university. 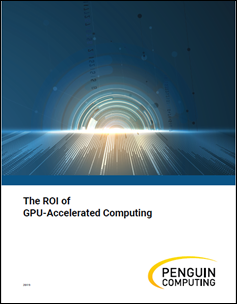 Demands for HPC are growing beyond traditional HPC disciplines as well, including areas such as big data analytics, data visualization, and machine learning. Maurizio Davini is the CTO of the University of Pisa. He has 25 years of experience in HW and SW Design, Test and Benchmarks of Servers, Storage and Networks and more than 15 years of experience in Design and Operations of HPC Systems. He pioneered Web in early ‘90s and Linux Clusters in late 90’s. He has been involved in the design of two Top500 HPC Systems. His current work spans from DataCenter to HPC, BigData and Cloud Solutions design and operation. Maurizio has been member of TC Executive Advisory Council of Microsoft Corp. and senior consultant for Ferrari F1 Team. Maurizio is member of the IDC Technical Computing Advisory Panel and member of the board of Dell HPC Community. As a CTO of the IT Center supports the effort of the Dell University Solution Center in Pisa. Maurizio holds a Degree in Physics from University of Pisa. Antonio Cisternino is the CIO of the University of Pisa. He received his degree in Computer Science in 1999, a postgraduate degree in Information Technology in 2001, and a Ph.D. in Computer Science in 2003 with a doctoral thesis on “Multi-stage and Meta-programming Support in Strongly Typed Execution Engines.” He was granted an internship at the Microsoft Research laboratories in Cambridge in 2001 in the group Programming Languages, principles, techniques and tools. He has been a researcher at the Department of Computer Science since 2006.